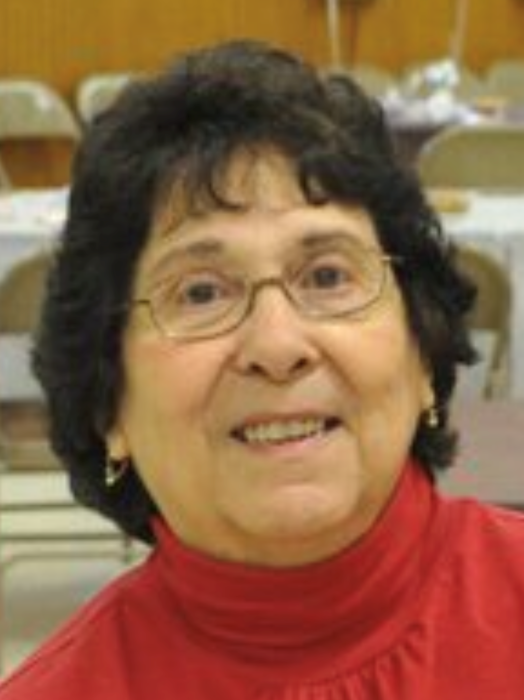 Mary Louise Fuggiano Spadafore, 82 of Clarksburg, (North View Community) passed away on Saturday, April 6, 2019 at JW Ruby Memorial Hospital, with family by her side. She was born July 30, 1936 in Clarksburg, WV, a daughter of the late Cosimo and Velma Perisco Fuggiano. Mary was preceded in death by her husband Anthony Francis Spadafore on September 15, 2008 whom she married July 6, 1957. Mary is survived by her three daughters & sons-in-law, Marlene & Marc Loretta, Martinsburg, WV, Toni Marie & James Richter, Bridgeport, and Regina & Don Amos, Parkersburg, the proud and cherished grandmother of eight grandchildren, Nicole Moravy & husband, Craig, Frederick, MD, Maria Osbourn & husband Mitch, Bridgeport, Andrea Hensley & husband Brian, Charleston, Vanessa Humphrey & husband Garrett, Vienna, and David Amos & wife Natalie, Pittsburgh, PA, Marc A. & Francesca Loretta, both of Martinsburg, WV and Justin Richter, Bridgeport, WV; eleven great grandchildren, Mason, Nicholas, Avery, Addison, Alexa, Rocco, Rio, George, Amelia Louise, Gemma, and Violet; special niece, Jennifer Schmidt & husband Don, Clarksburg and their children, Don Schmidt & wife Janessa, Vicki Kemp & husband Darren and their children Jaxson, Slone, and Louie; and several nieces & nephews her beloved cat Sally; brother-in-law, Dan Sturia, Canton, OH. In addition to her husband and parents, Mary was also preceded in death by six siblings, Stella Sturia, Josephine Gardner, Carol Caley, Rose Caley and husband Ron, and David Fuggiano and wife Carla, one sister in infancy, Jeanie. Mary graduated from Victory High School Class of 1955. She was a lifelong resident of the North View section of Clarksburg and a lifelong member of St. James Catholic Church. She dedicated her life to her husband, children, the countless children she lovingly babysat and then eventually her grandchildren, and great grandchildren. No baby could resist her tender embrace and captivating rendition of “Silent Night”, no matter the season, and hundreds of children curl up at night with her handmade Afghans she crocheted over many years. She loved sitting in her North View home of over 60 years to welcome frequent visitors or watch QVC with a fresh cup of coffee and hot pepperoni roll from D’Annunzio’s. Her family will dearly miss her large family holiday gatherings, wise advice, thoughtful gifts, and occasional pranks. Family will receive friends at Davis Funeral Home, 124 Olen Thomas Drive, Clarksburg, on Wednesday, April 10, 2019 from 1-8PM with a Vigil Rite at 7:30PM. A Funeral Liturgy will be held at Saint James Catholic Church on Thursday, April 11, 2019 at 11:00am with Father Patsy Wash and Father Akila Rodrigo as co- presiders. Entombment will follow at Holy Cross Cemetery. In lieu of flowers, donations in her memory may be made to American Heart Association, 300 5th Avenue, Suite 6 Waltham, MA 02451 or American Cancer Society P.O. Box 22478, Oklahoma City, OK 73123. Online condolences may be sent to DavisFuneralHomeWV.com. 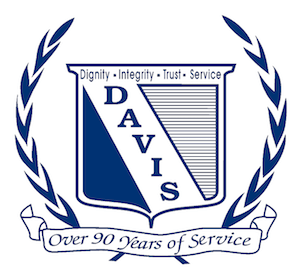 Davis Funeral Home is honored to assist the Spadafore family.